Each weekly session includes four components: prayer, video teaching, small group discussion, and practical applications. ​FIRST and THIRD SUNDAY of each month. I want to baptize my child. My loved one has passed away. How are we doing on the Bishop's Annual Appeal (BAA)? Where are the Pope's tweets? 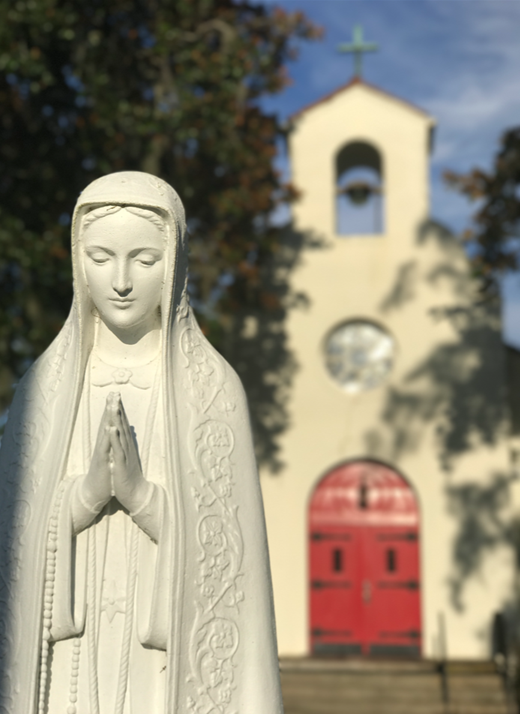 "A Catholic community with a welcoming heart ..."
Nativity mission parish serves McIntosh county and surrounding areas in southern coastal Georgia. Founded in 1945, we are a mission church of the Diocese of Savannah under the auspices of and served by the pastor and parochial vicar of St. Francis Xavier Catholic Church in Brunswick. All are welcome here. Help us make our parish motto a reality!